My name is Emily MacGregor and I am SO excited to be here on U-Create today. I am a wife to one hot guy and a mother to one adorabe little boy and I love to create! I sew, paint, garden, cook and bake. When I’m not busy cleaning the house, changing a diaper or phoning home to Canada, I’m working on some new project for my home or creating something new for my Etsy shop, Mrs. M Sews. I also love to blog about my projects and my family on my blog, A Great Adventure. 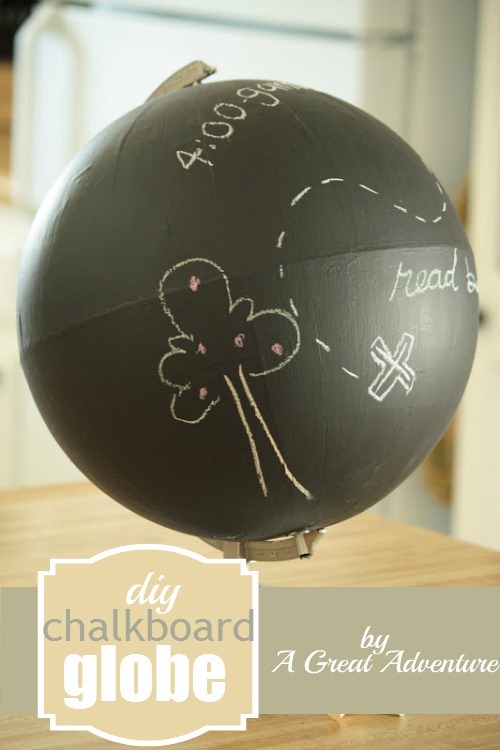 Today I am going to teach you how to make your very own Chalkboard Globe. It’s very simple and easy and so much fun to use and have around the house when you’re done. 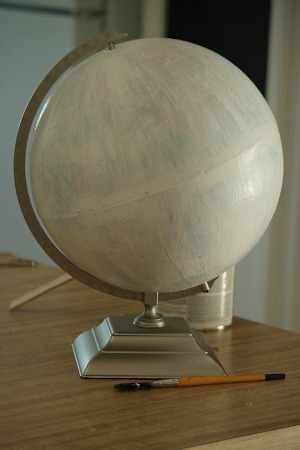 First, wash your globe with a damp cloth, just to get any dust and dirt off of it so the paint will stick nicely. 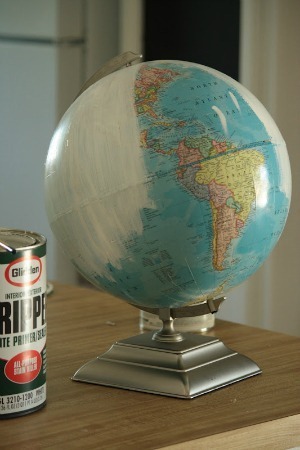 Next, stir up your primer and apply a thin coat to the entire globe. 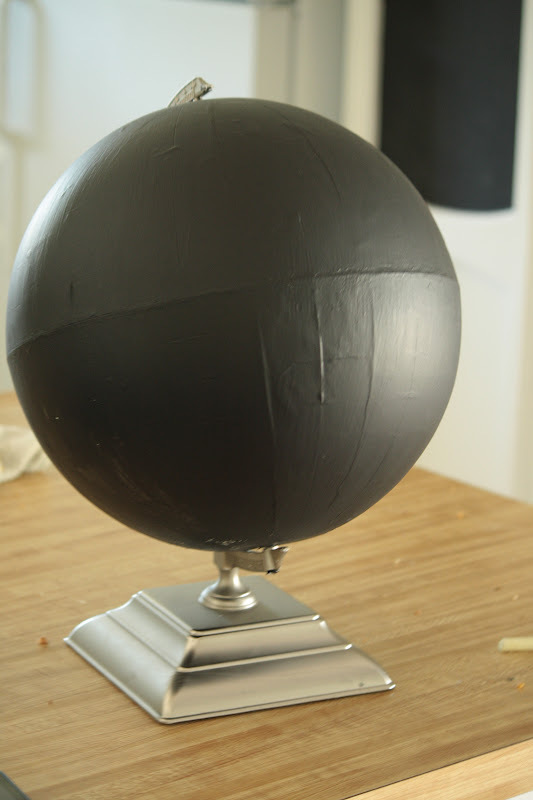 You might want to tape the base of the globe and any other parts you don’t want painted. I chose to skip taping. 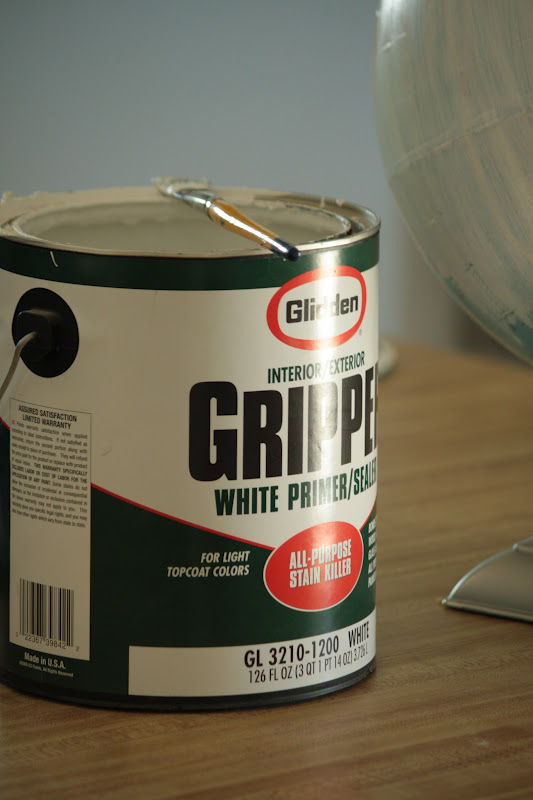 Once you have the whole globe primed, let it dry for at least 30 minutes and until its no longer shiny, but is a dull white and dry to the touch. 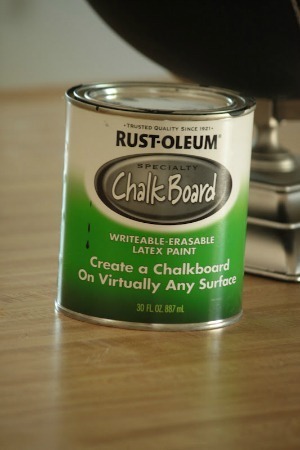 Next, take your chalk board paint and stir it up really really well. Mine had setteled because it had been sitting in my garage for a while so I had to stir it for a good 7 minutes or so. Grab your paint brush and get ready to paint. I applied two coats of chalkboard paint to mine, allowing it to dry between each coat. You can grab a blow dryer to speed things up or leave it in the sun to dry if you live in a hot desert like me. Now comes the hard part; after you get it covered, you have to let it dry and sit for 24 hours before you go at it with chalk. If you don’t you might not be able to wipe the chalk off because the paint didn’t have long enough to set up. Trust me, I learned the hard way. Just be patient! 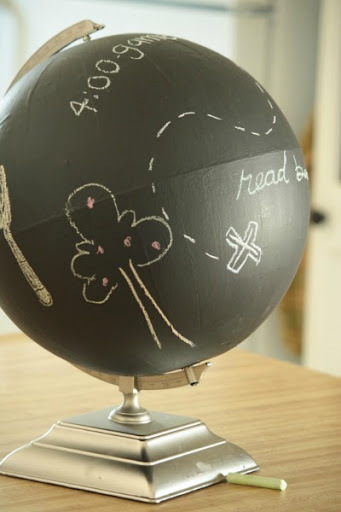 Now you have an awesome little globe you can write or doodle all over. Use it as a message board, a to-do list, a treasure map for your kids or anything else you want. 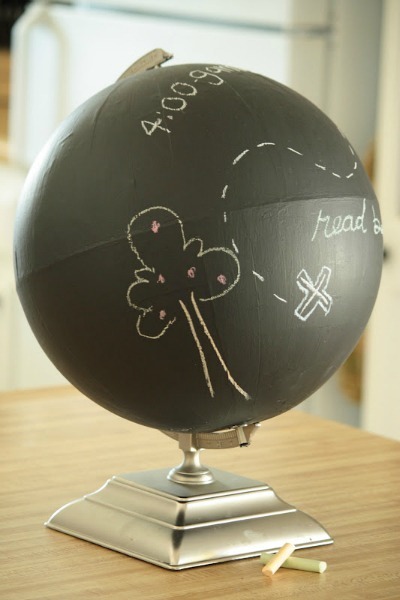 Thanks for creating with me and enjoy your new chalkboard globe! Awesome project! Do you have a sister who lives in Gainesville, FL? What a small world!